10 Secrets About the Moon Landing - 48th Anniversary | Valet. 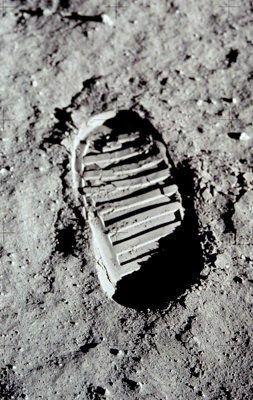 Today marks the 48th anniversary of the first human steps on the lunar surface—a historical feat of bravery, American ingenuity and a little good old fashioned grit. Launching from the Kennedy Space Center, the Saturn V rocket carried astronauts Neil Armstrong, Michael Collins and Edwin "Buzz" Aldrin beyond Earth's atmosphere into space, landing on the surface of the moon on Sunday July 20, 1969. The mission's iconic imagery and audio are certainly seared into our collective consciousness, but there are a handful of side stories from that legendary trip that are often overlooked. The Apollo's Saturn rockets were packed with enough fuel to throw 100-pound shrapnel up to three miles. Not to mention, NASA wasn't ruling out the possibility that the whole rocket might explode upon takeoff. To be completely safe, NASA seated all VIP spectators three and a half miles from the launchpad. 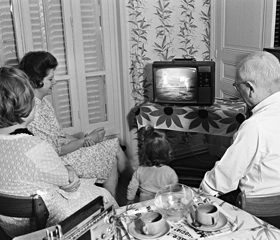 We're all familiar with that grainy feed beamed to hundreds of millions of homes in '69, but the video was actually captured in much higher quality than those on Earth ever saw. That's because NASA's camera captured video in a format unable to be shown on commercial television stations. The video had to be converted for American broadcast signals, but by the time the images appeared on home television sets, the feed had been substantially degraded. Thankfully, you can now watch digitally restored versions on NASA's website. Planting the flag proved difficult. NASA's studies suggested that the lunar soil was soft, but Armstrong and Aldrin discovered the surface was hard rock covered with a thin wisp of dust. They managed to drive the flagpole a few inches into the ground and film it for broadcast, and then took care not to accidentally knock it over. The flag, specially made by Annin Flagmakers, was constructed from nylon and cost NASA about five bucks. Over the course of the Apollo program, our astronauts unfurled six American flags on the moon. 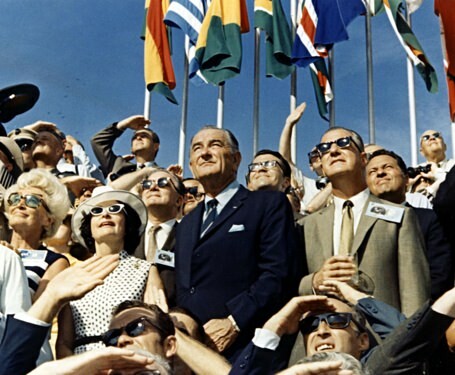 But for nearly half a century, the the flags have been exposed to the full fury of the moon's environment—alternating 14 days of searing sunlight and 212° F heat with 14 days of pure darkness and temperatures as low as -238° F. But even more damaging is the lack of atmosphere. The intense UV radiation from the unfiltered sunlight bleaches the flags and deteriorates the fabric. When Aldrin and Armstrong, caked with moon dust, returned to the Eagle lander, they reported that the moon smelled a bit like wet ashes. Aldrin described it as "a pungent metallic smell, something like gunpowder, or the smell in the air after a firecracker has gone off." 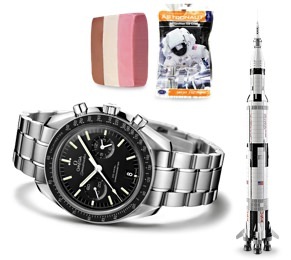 Although every man on the mission returned to Earth safely, they left plenty of artifacts back on the moon. 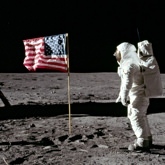 Some items, such as a golden olive branch, American flag and an Apollo patch, served a symbolic function. But there was also plenty of junk left behind, including television cables, a camera, urine collection devices, along with plenty of tools. Want to know exactly what's up there? 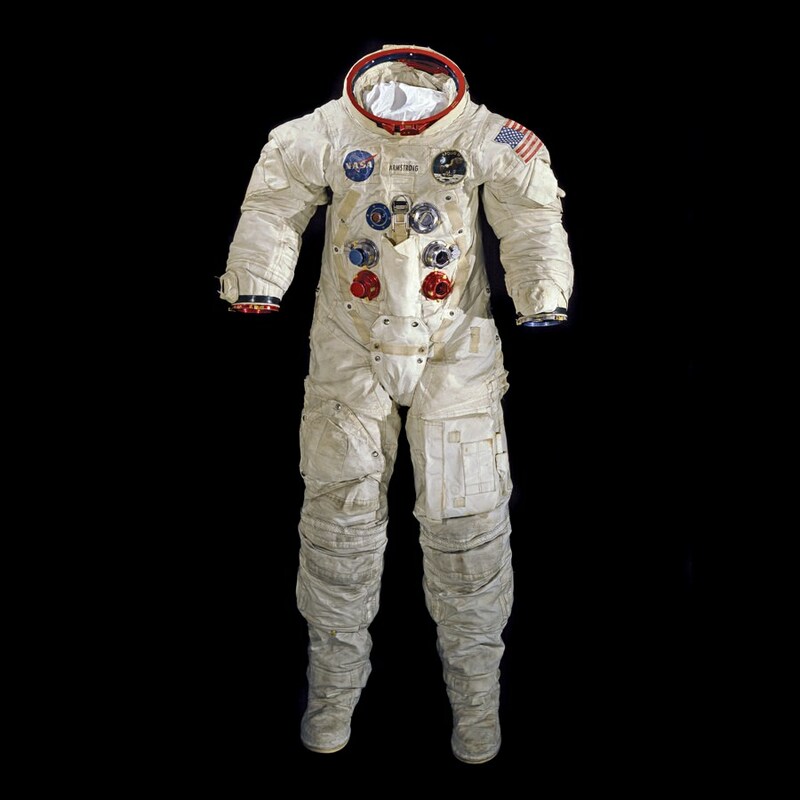 NASA has compiled a list [PDF] of every single item the Apollo missions left behind on the moon. We know Armstrong was the first human to step foot on the moon, but Aldrin holds the distinction as the first man to pee on it. 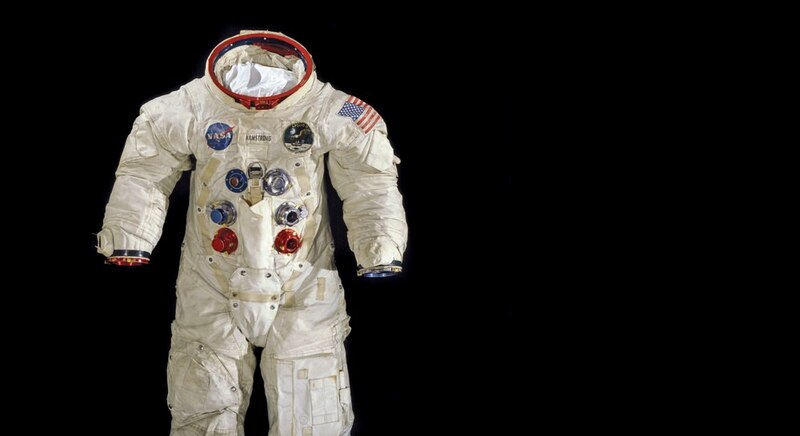 After stepping out onto the moon's surface, Aldrin promptly emptied his bladder into the specially designed internal urine collector built into his space suit. 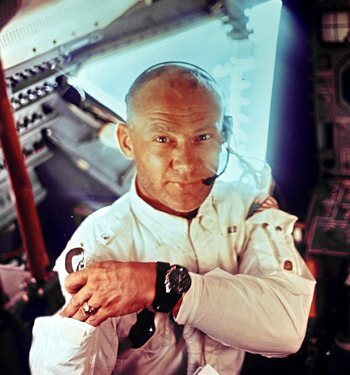 Unfortunately, his leap from the lunar lander caused a small tear within the urine collector so one of Aldrin's boots filled with urine when he relieved himself. 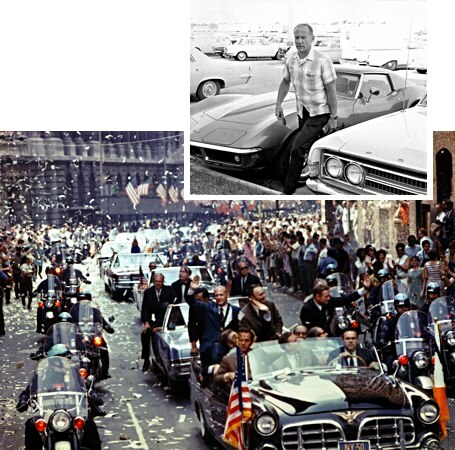 Fully aware that he was on a live radio feed, Aldrin kept his cool and didn't mention it. All the astronauts carried Duro-brand felt-tip pens and if not for these, the men may've never made it home. In the cramped environment, someone broke off a necessary switch to the circuit breaker that activated the ascent engine. "Since it was electrical, I decided not to put my finger in, or use anything that had metal on the end," remembers Aldrin his 2016 memoir No Dream Is Too High. "I had a felt-tipped pen in the shoulder pocket of my suit ... I inserted the pen into the small opening and pushed it in; sure enough, the circuit breaker held. We were going to get off the moon, after all." 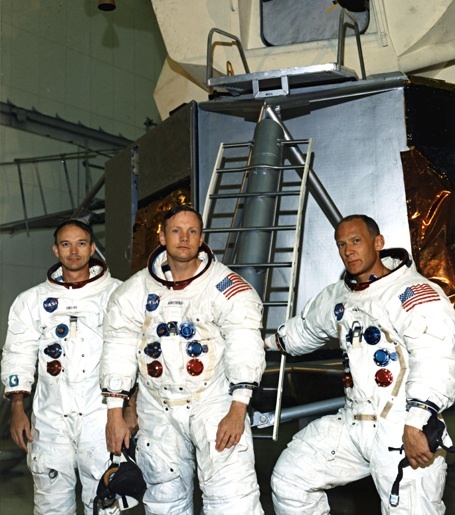 NASA's moon men (along with all astronauts at the time) were adventurous test pilots—real life action heroes who became beloved, national figures in the American psyche. They looked cool, thanks to such standard issue gear as Omega timepieces and sunglasses from American Optical. And they each drove around in Corvettes given to them by Chevrolet. "In the Event of a Moon Disaster"
Had something with the Apollo 11 mission gone horribly wrong, the world may have never heard "That's one small step for man." Instead, the words immortalized in history books would've been those of William Safire, Richard Nixon's speechwriter. Just after launch, Safire wrote a statement [PDF] for the president to deliver in preparation for the worst possible outcome, which began: "Fate has ordained that the men who went to the moon to explore in peace will stay on the moon to rest in peace." The secrets behind the long-standing Annin American flag.